Toast your mom with the magic of Krone Rosé Cuvée Brut 2017 created on the 300-year-old farm Twee Jonge Gezellen in the Tulbagh Valley. What better way to celebrate Mother’s Day than with a bottle of the beautifully packaged Krone Rosé Cuvée Brut 2017? 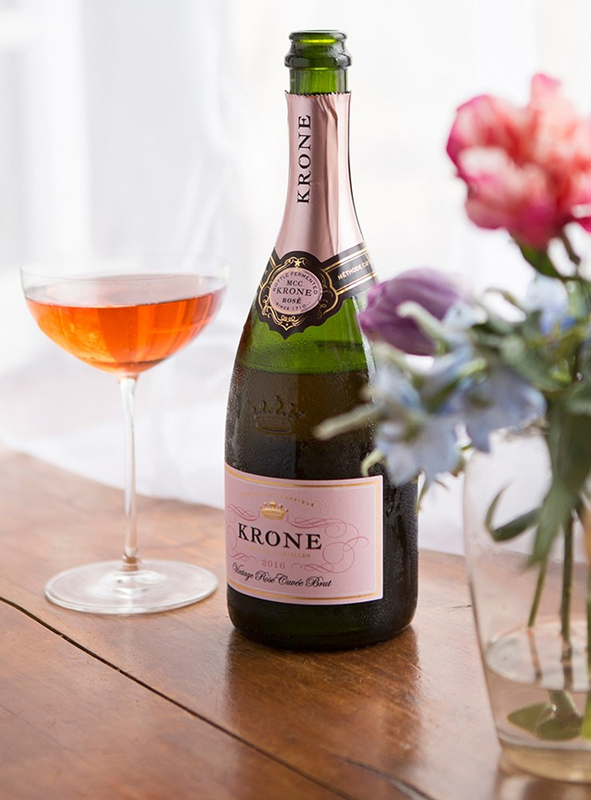 Retail price: Krone Vintage Rosé Cuvée Brut 2017 is widely available nationally in select liquor retailers and grocers at approximately R145 per bottle. Krone Méthode Cap Classique is created on the historical Twee Jonge Gezellen farm, a fusion of heritage and innovation. The grapes are night harvested in the beautiful Tulbagh valley, flanked by rugged mountains. The vineyards reach up the east-facing slopes of the Saron Peak, while the underground cellar lies at the foot of the mountains. Krone pride themselves on combining traditional techniques and innovative practices to ensure that they produce the finest sparkling and still wines using Chardonnay and Pinot Noir grapes. WIN! One lucky reader will win 12 bottles Krone Rosé Cuvée Brut 2017 valued at over R1 700! To enter, simply complete the entry form below. Terms and conditions apply. Competition ends 13 May 2018.